Sivas Kangal Thermal Powerplant was taken over from the Privatization Administration for 985 million dollar tender price. Installed power of Konya Seker in electricity generation has reached 536.66 MW. 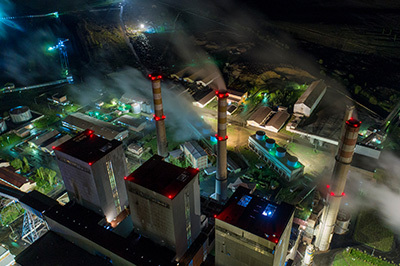 Average annual power generation of the power plant was 2.43 TWh before it joined Konya Seker. Konya Seker began rehabilitation investments after it took over the power plant and increased annual generation by one fourth. Over 50 per cent more power generation than that of the average of five year period for the power plant was achieved during the period, which is approximately 2.5 years, between August 2013, when the transfer took place, and December 2015. The power plant is operated at generation performance at design values at the moment. Average calorie of lignite is 1100 kCal/kg at the powerplant. Coal requirement of the powerplant is approximately 21 tons per day. When it is taken into consideration that approximately 7 million tons of lignite is used per year, it can be said that Konya Seker consumes approximately 8 to 10 per cent of lignite production in Turkey.